One in three people aged 65 and over fall at least once each year” (Physiotherapy & You – Preventing Falls, Issue 4, July 2008). Falls are not an inevitable part of getting older, and taking steps to reduce them will keep you strong and independent. Avoiding falls means fewer fractures, especially hip fractures. 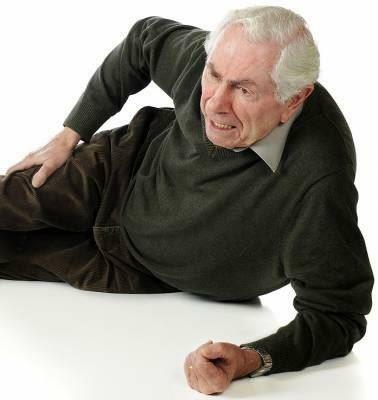 Most hip fractures are caused by falls. Falls can sometimes be prevented. People with better posture, better balance and stronger muscles are less likely to fall and are therefore less likely to be injured. On the other hand, people who are not very active are more likely to have a hip fracture than those who are more active. A fall risk assessment can help you to know if you are at risk. The next step is to reduce your risk by becoming more active, having your glasses and medication checked, and having a low risk home. Exercise has the potential to improve your performance in balance, reaction time, awareness to know if you are starting to fall, and strength to stay upright and keep you on your feet. At Core Physiotherapy Clinics we can help you organising a falls risk assessment and tailor exercise programs to individual needs to maintain your vital independence and confidence with the implementation of individual, class and home exercise programs for balance, joint mobility, bone density, muscle strength, general health and well-being and falls prevention.